Production of experimental film and music: see ‘Film Production and Exhibition’, below, also: Filmography, Exhibitions and Bibliography on Cantrills. Some unpublished writing on the Cantrills’ work can be found here. History and theory of experimental film and video art, and associated areas of performance and installation art - early and contemporary, as explored in . . .
CANTRILLS FILMNOTES . . .
An essay on ‘Australian Experimental Film’, written by the Cantrills, is included in the ‘Oxford Companion to Australian Cinema’, 1999. The Companion’s essay on the Cantrills is written by Ina Bertrand. Pre-cinema exhibition in 18th/19th century. An illustrated 2 hour lecture by Arthur Cantrill is available: ‘The First Mass Media: Large Scale Display of Still and Moving Images in the 1800s’, covering proto-cinema (the 360 degree panorama, the moving panorama, Daguerre's double-effect diorama, the eidophusikon, the magic lantern, etc.) in Europe, USA and Australia. This lecture has been given many times in North America, Europe, New Zealand and Australia. Arthur Cantrill wrote and recorded the audio commentary for Dziga Vertov’s 1929 film Man with a Movie Camera in the Madman Entertainment 2006 DVD release of the BFI version. The Surrealist Cinema of Dušan Marek, the films of the Czech-Australian surrealist painter, from his first animation, 1952, (restored by Arthur Cantrill) to his live-action films, in relationship to his painting (a lecture given at the Art Gallery of South Australia in 2003). An article by Arthur Cantrill: A Surrealist Film Practice -- the Animated Films of Dušan Marek is in ASIFA Magazine, The International Animation Journal, Volume 21 No. 2, Winter Issue 2008. Other lectures and writing by Arthur Cantrill are detailed at the end of this page. 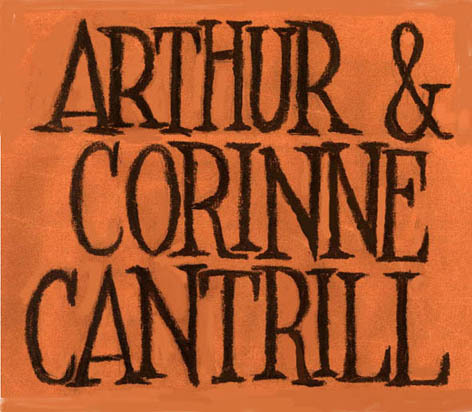 Arthur Cantrill, AM, and Corinne Cantrill, AM (born Sydney, Australia, 1938 and 1928 respectively) began making 16mm films together in 1960; at first films for children and documentaries on art, interspersed with short experimental films. After working in London for four years (where Arthur Cantrill was a film editor at Halas and Batchelor Cartoon Films and then at BBCTV current affairs and documentary), they returned to Australia in 1969 to take up a Fellowship in the Creative Arts at the Australian National University in Canberra during which they made several films financed by ANU, the main work being the feature-length Harry Hooton. From that time they have worked solely in film as a medium combining kinetic art with formal cinematic concerns and experimental sound composition, and also film-performance. 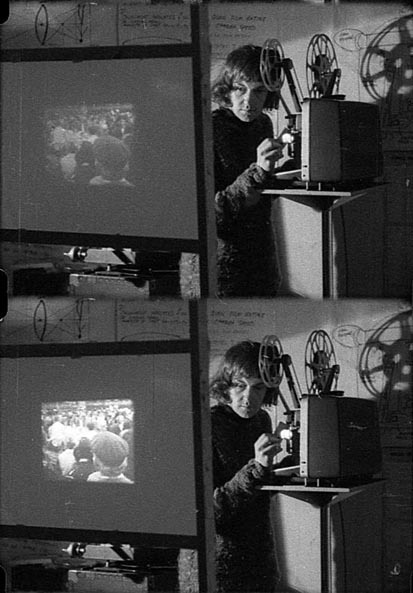 Expanded Cinema, a multi-screen film-performance developed at ANU, was presented at the Age Gallery (administered by the National Gallery of Victoria), Melbourne, February 8-27, 1971. A simplified version was revived in 2006 for the OtherFilm Festival, Brisbane, and in 2009 for the Melbourne International Film Festival (see below). From 1973-1975 when Arthur Cantrill, as Assistant Professor, was teaching film production and film history and criticism at the University of Oklahoma and at Penn State University their films were shown widely in North America, includng at Charlotte Moorman’s 10th and 11th New York Avant-garde Festivals, and they were the first Australian filmmakers to be invited to give a ‘Cineprobe’ of their work at The Museum of Modern Art, New York. (A second MoMA Cineprobe was given in 1988, and a third in March 2000.) They returned to Australia in 1975 where Arthur Cantrill taught at Melbourne State College/University of Melbourne until he retired as Associate Professor in 1996 (continuing weekly classes for some years at Victorian College of the Arts Centre for Ideas in Proto-cinema and history and theory of comic strips). 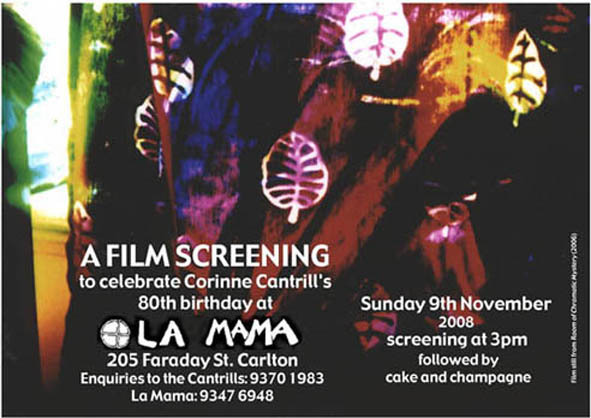 The Cantrills have exhibited very widely at film festivals, film museums and art galleries in Britain, Holland, Belgium, West Germany, New Zealand, Japan and also France, where in 1983 they gave five programs of their work at the Festival d’automne à Paris. A review of this in Libération can be found here. In January, 1985 they had a five-day retrospective series of screenings at the Musée national d'art moderne (Centre Georges Pompidou), Paris, for which Melbourne poet Kris Hemensley wrote a CATALOGUE ESSAY. In February, 1985 they took up a Deutscher Akademischer Austauschdienst (DAAD) Stipendium to work in West Berlin for 6 months as artists-in-residence, and while in Germany they gave screenings of their films in Berlin, Frankfurt, Munich and Osnabrück. In 1985 Vikki Riley wrote on the Cantrills for the Paris experimental film journal, Scratch, which can be read here. 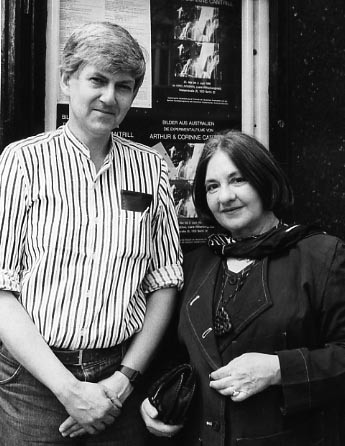 Arthur and Corinne Cantrill at the Kino Arsenal in Berlin, 1985. In 1986 and 1995 they showed The Berlin Apartment, a 2-hour double-screen film, based on the material they shot in Berlin on the DAAD award, at La Mama Theatre, Melbourne. It was also shown in Sydney in 1992. In 1988 they first showed their film/performance work Projected Light - The Beginning and End of Cinema at La Mama Theatre, Carlton. 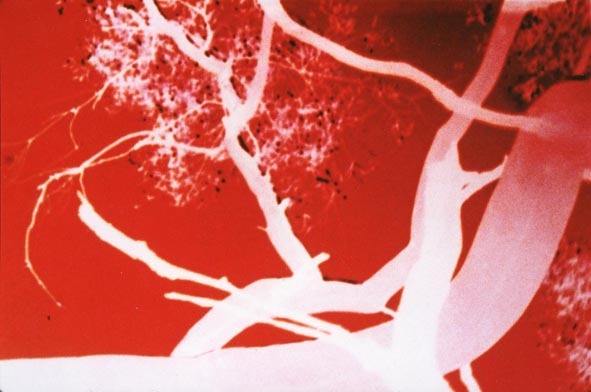 In 1989 this was also shown at the Australian Centre for Photography, Sydney, and in 1990 at the Vancouver Art Gallery and at the MIMA ‘Experimenta’ exhibition at the Malthouse Theatre, Melbourne. In 1994 they presented it in Leuven (Belgium), Berlin, Auckland, San Francisco, New York, Toronto, and at the Brisbane Film Festival. As well as 16mm film production, they have also worked in Super 8mm, in particular making a series of Super 8 films shot in Indonesia between 1990 and 1994. (The opening title to this web page is taken from the credits of these films.) This material was used in two film-performances given at La Mama Theatre, Melbourne: The Bemused Tourist, in 1997, and The Becak Driver, 1998. (A still from this can be seen at the end of the Filmography page.) Several of the Super 8mm films have been enlarged to 16mm. In 1994 the Cantrills toured with their films to Paris, Brussels, Berlin, Bangkok, San Francisco, New York, Toronto and Auckland. To mark 25 years of Cantrills Filmnotes, a review of international avant-garde film and video they have edited and published since 1971, two programs of Cantrill films were given at the Sydney Film Festival, and the Melbourne Cinémathèque, 1996. 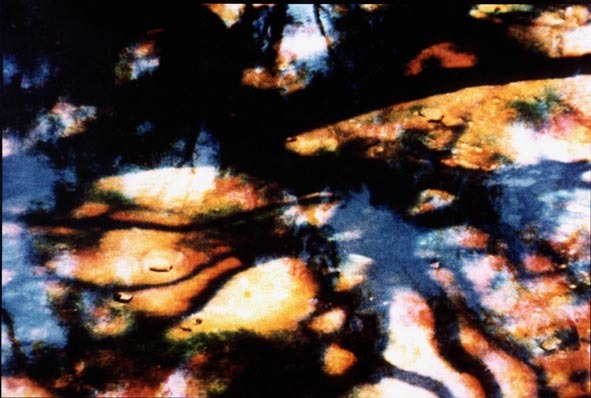 During a screening/lecture tour of North America, Frankfurt and Paris in March 2000, ten shows entitled ‘Chromatic Articulation’ of recently completed three-colour separation films and films of single-frame 'articulations' (Super 8 enlarged to 16mm), were given at public venues and colleges, and a lecture on Proto-cinema at five venues, including the Deutsches Filmmuseum, Frankfurt. The ‘Chromatic Articulation’ program was shown at La Mama Theatre, Melbourne, in May 2000. 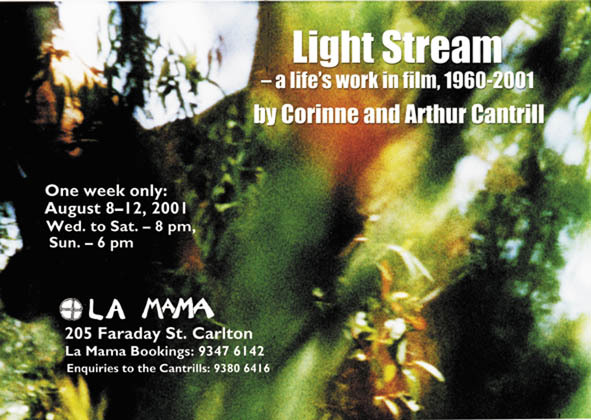 LIGHT STREAM, a retrospective season to mark Arthur and Corinne Cantrills’ forty years’ filmmaking, and their association with La Mama Theatre in Melbourne since 1977, was presented at La Mama, August 8-12, 2001. The poster image is a frame enlargement from Bouddi (1970). In November/December 2001 they gave 13 screenings of films they made in the last decade in 12 cities in France, Germany, Belgium, Holland, and the Czech Republic, and gave two Proto-cinema lectures. The venues included The Royal Belgian Film Archive, Nederlands Filmmuseum, Deutsches Filmmuseum, Freunde der Deutschen Kinemathek's Kino-Arsenal, and Kommunales Kinos in various German cities. DAAD funded the airfares for this tour. A program of ten of their films from 1969 to 2001 was shown at the Lisbon Biennale, Portugal, in October 2003. Two programs were given at the OtherFilm Festival in Brisbane, 2006: a retrospective and a reconstruction of part of the Cantrills’ 1971 Expanded Cinema show including films interacting with patterned and three-dimensional screens, and Calligraphy Contest for the New Year, a film screen transformation performance piece. Several films and constructed screens used in the original presentation were omitted, including the arc of screens set around the gallery walls. A 2006 film, The Room of Chromatic Mystery, was shown at the Media City Festival 14 in Windsor, Ontario, Canada in March, 2008, and was awarded an Honourable Mention by the Festival jury. 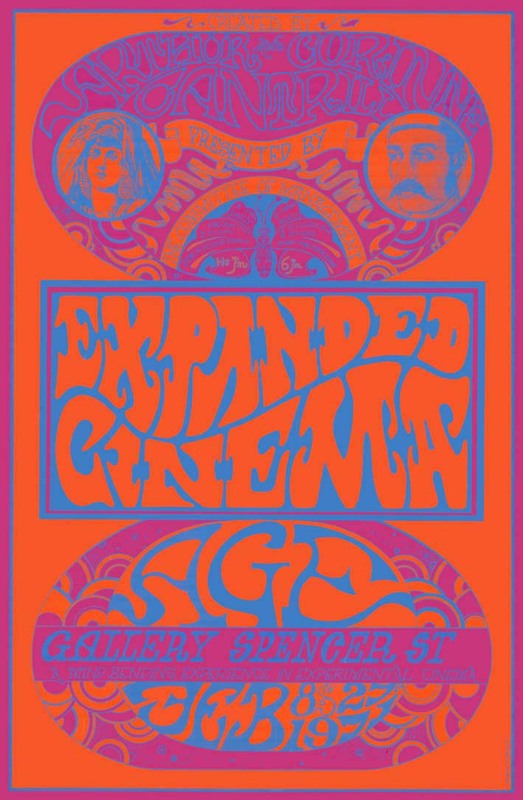 A simplified version of the Expanded Cinema show was presented at the Melbourne International Film Festival on August 8, 2009. A screening of Cantrill 3-colour separation films was presented at the Australian Centre for the Moving Image (ACMI), Melbourne, on Saturday, 26 September, 2009 in connection with the opening of the ACMI ‘Screen Worlds’ history of film exhibition, in which a Cantrill 3-colour film is continuosly on display. Two screenings of Cantrill films were shown at Kino Arsenal in Berlin on May 21 and 25, 2010, to celebrate the Cantrills’ 50 years of filmmaking. The Cantrills participated in duetto at the Australian Experimental Art Foundation, Adelaide, on June 19, 2010, with a screening of seventeen of their films at the Mercury Theatre. A four-program RETROSPECTIVE -- "GRAIN OF THE VOICE" , of films by Arthur and Corinne Cantrill to celebrate 50 years of filmmaking, curated by Jake Wilson, showed at ACMI across four Sundays: October 10, October 17, October 24 and October 31, 2010. Unpublished writing on the Cantrills’ films by Mike Hoolboom and Ken Shepherd, a 1988 essay on In This Life's Body by David Opitz, a review of The Second Journey (to Uluru) published in Filme, Berlin in 1982, and an article in French from Libération on Cantrill films showing at the Pompidou at the Festival d’Automne, 1983, can all be found here. Arthur Cantrill and Corinne Cantrill were both appointed as Members in the General Division of the Order of Australia in the Queen's Birthday Honours, 2011, "for service to the visual arts as documentary and experimental filmmakers, and to education in the creative arts field, particularly surrealism and avant-garde cinema". For a detailed chronology of Cantrill exhibitions, screenings, and other events from the 1960s to the present, go to EXHIBITIONS. 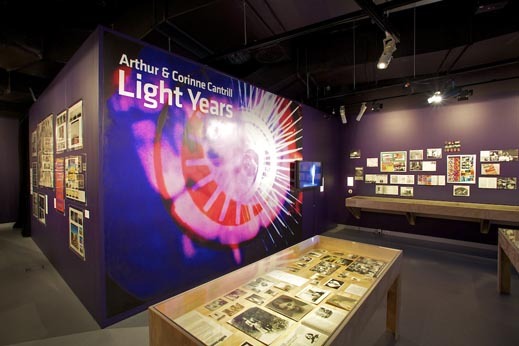 LIGHT YEARS, an exhibition of Cantrill posters, stills, production materials and short films covering fifty years’ work, curated by Fiona Trigg, opened at ACMI, Federation Square, Melbourne, in Gallery 2 on March 8, 2011, and ran until June 5. The large image in the photograph above is a frame enlargement from the hand-printed sequence in Harry Hooton (1970). Moving Statics (1969) is showing on the monitor to the right. 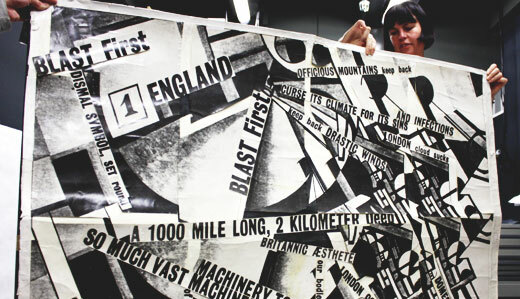 Installing the 'Blast' screen, used in expanded cinema shows, in 'Light Years'. Among the production materials and artefacts was a display on three-colour separation, the editing of Cantrills Filmnotes, (1970-2000) and animated and hand-drawn films by Ivor Cantrill. Digitised extracts and complete films show on three monitors, and in a mini-cinema built into the display. The complete interview can be viewed in the ACMI Mediatheque. A selection of Cantrill posters, the CD of Cantrill soundtracks Chromatic Mysteries and copies of Cantrills Filmnotes were on sale at the ACMI shop during the exhibition. Cantrill postcards, produced by ACMI, will continue to sell in the store after the exhibition. In This Life’s Body (147 minutes, 1984), Corinne Cantrill’s autobiographical film, screened in ACMI Cinema 1 on Saturday June 4, 2011, introduced by the filmmaker. The film uses hundreds of black & white still photographs taken from 1928 to 1984 in Australia, England, Europe, USA and Japan, with voice-over narration by Corinne Cantrill, tracing family connections across the generations. The photographs cover various genres: family snapshots, street and school photographs, studio and professional photographs, press photographs, self-portraits. The Brunswick Community History Group arranged a ‘Tribute to the Cantrills’ on Sunday 20 May 2012 at the Bridie O’Reilly Irish Pub, corner Brunswick and Sydney Roads. The Cantrills discussed their filmmaking at ‘Prestonia’, an 1888 Brunswick Road house where they lived for 33 years, with emphasis on the history-related film-performance works premiered at La Mama theatre, in particular Projected Light - on the beginning and end of cinema, 1988, but also Edges of Meaning (on Baldwin Spencer) and The Berlin Apartment (on the Holocaust). Jake Wilson, film critic at ‘The Age’, spoke about the Cantrills’ work, and the text of his talk can be seen here. Collaborators from the 1970s, such as Garrie Hutchison, also spoke. 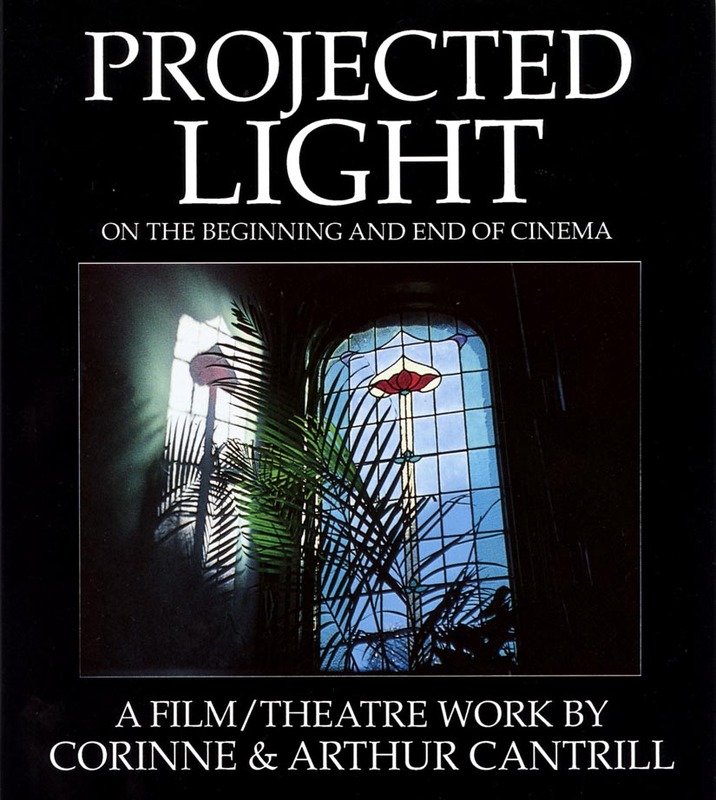 A note on Projected Light can be found at http://pdome.org/1994/projected-light-on-the-beginning-and-end-of-cinema/ from a tour of North America. This combined film/performance by Arthur and Corinne Cantrill is a major contribution to Australian art, part manifesto, part address to their muse. Although it takes the form of recollection in tranquility, its message is pessimistic: Kinema – the art and craft of motion pictures, as distinct from Cinema, trader in an outmoded commodity – is dying. With easy mastery, ‘Projected Light’ moves from sensation to idea, from idea to sensation, encompassing the history of early motion pictures and the impending demise of Kodachrome, ‘perhaps the finest film stock ever invented’. The senses thrill and the mind races, the senses race and the mind yields to reverie, borne upon the flow of light and motion, chemistry and physics, reason and imagination. THE CANTRILLS’ WORK is included in several film collections including those of The Royal Film Archive of Belgium, Freunde der Deutschen Kinemathek (Berlin), Deutsches Filmmuseum (Frankfurt), PRÉA (Avignon), The British Council, and the National Film and Sound Archive of Australia (National Film Lending Collection). Six films are in Musée national d'art moderne at the Centre Georges Pompidou, Paris (a screening of recently acquired Cantrill films was held at the Pompidou Musée national d'art moderne on 23 March, 2000). Three films are in the New York Museum of Modern Art, including The Room of Chromatic Mystery (2006), acquired 2009. In all cases, 16mm prints are held by the above. DVD copies of Cantrill films are not available. In Europe 16mm prints can be rented from Arsenal - Institut für Film und Videokunst e.V, in Berlin and Light Cone in Paris. 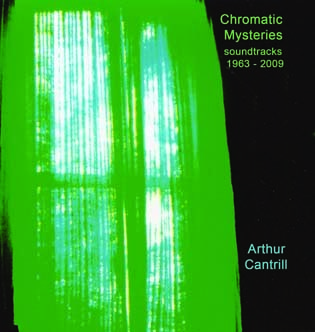 “CHROMATIC MYSTERIES”, a CD of a selection of Arthur Cantrill’s film sound compositions, 1963-2009, compiled by Clinton Green of Shame File Music, was launched at the ACMI Studio 1 on June 6, 2010. Cantrill films featured on the CD were shown, and also some of their silent films with sound improvisations by Robin Fox, Undecisive God, Jack Quigley and Jeremiah Rose. A review of the event by Alice Body is in Inpress, issue #1128, June 23, 2010, pp. 62-63. Reviews of the CD are on http://www.vitalweekly.net/736.html and at http://www.cyclicdefrost.com/blog/2010/10/10/arthur-cantrill-–-chromatic-mysteries-soundtracks-1963-2009-shame-file-music/ and in Inpress No. 1132, 21 June 2010, p. 29: '...one of the premier, though perhaps unacknowledged, Australian avant garde musicians'. The soundtrack of the Cantrill film Island Fuse (1971) is included in an Iceage Production (Peter James) compilation CD The Shape Of Sound Vol. 2. The CD launch, on December 9, 2011, at the Grace Darling Hotel, Collingwood, included Arthur Cantrill’s performance/demonstration of improvisations using analogue reverb and white noise feedback generated on the Revox and Nagra reel-to-reel machines (as used in Island Fuse). Shame File Music has also produced an LP (with download rights, which includes a bonus composition: Cicada Mix) of the sound compositions by Arthur Cantrill for the Cantrills' film Harry Hooton, (1970), available from http://ShameFileMusic.com . A review of the LP is at 'Cyclic Defrost' : http://www.cyclicdefrost.com/blog/2014/08/arthur-cantrill-hootonics-lp-shame-file-music/ and at 'Vital Weekly' #946: "It has that excellent sixties sound of ringing oscillators, sped up loops of feedback and grittiness. (. . .) Excellent record of early electronics. Not to be missed by anyone who delves into the recent Mego re-issues of Ina-Grm." (FdW). Thinking About Grain of the Voice, an article by Arthur and Corinne Cantrill on their three films in the Grain of the Voice series, is in Soundscape, The Journal of Acoustic Ecology, vol. 9, no. 1, Fall/Winter 2009, pp 25-27.